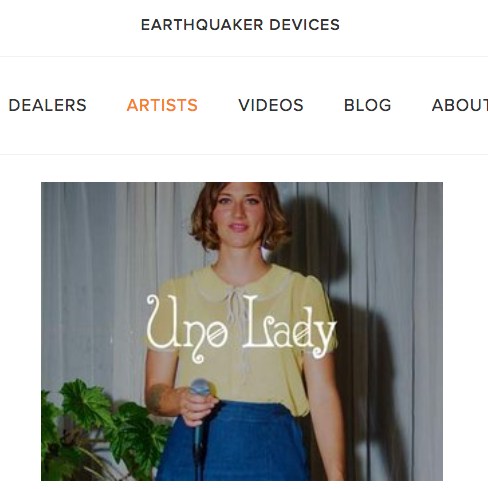 I am pleased to announced Uno Lady has partnered with Earthquaker Devices and is a featured artist. Their pedals have become a key component in my performances. They are also locally made in Akron, Ohio, by great people, and have a lifetime warranty. Uno Lady is playing PorchRokr Music and Arts Festival This Saturday at 3pm. The Performance will be on the Earthquaker Devices Beer Garden Stage on the corner of South Rose Blvd & Augusta Ave. near Will Christy Park (map). Highland Square’s annual PorchRokr Music and Art Festival transforms the verandas of one of Akron’s most historic and eclectic neighborhoods into one-day art studios and concert venues. Thousands of locals and out-of-towners rock out to some 130 diverse musicians and artists, using both area residences and business establishments as their personal stage. 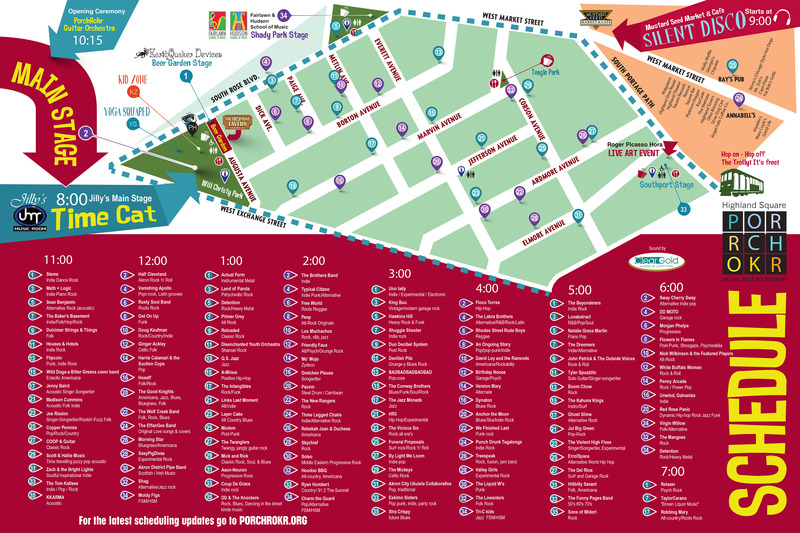 The festival rotates each year among four sections of Highland Square to encourage spontaneous interaction among all its neighbors. Video by Chris Tran, Brad Throla and Jess France. Audio recorded by Jeff France at EarthQuaker Audio Recording Laboratory. EarthQuaker Devices built me a pedal board and now my sound library feels limitless. I’m sonically inspired – like a jolt to my creative process. I’m playing around with Avalanche Run, Disaster Transport Sr., Levitation, Arpaniod, Bows, Afterneath, Transmisser, The Depths, Night Wire, and the Organizer. Check out each device here. 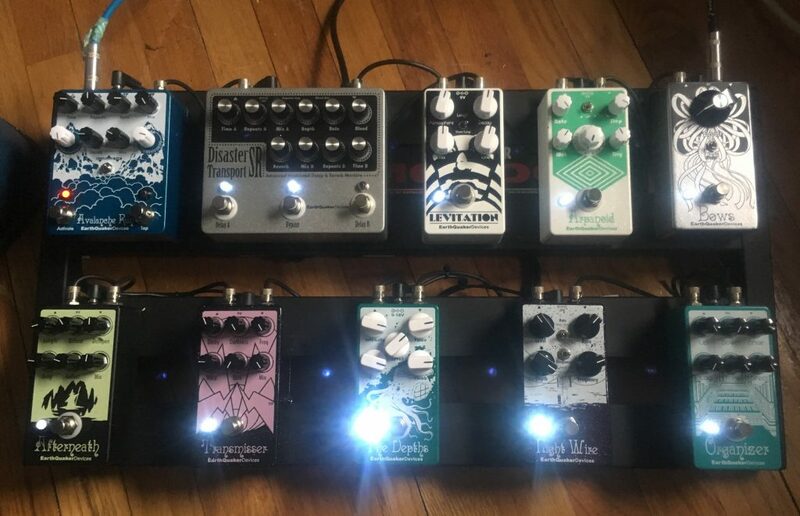 EarthQuaker Devices pedals are handmade by fellow musicians and music lovers in Akron, Ohio and have a lifetime warranty. AKRON, OH – “Cleveland’s Christa Ebert is a one-woman choir. 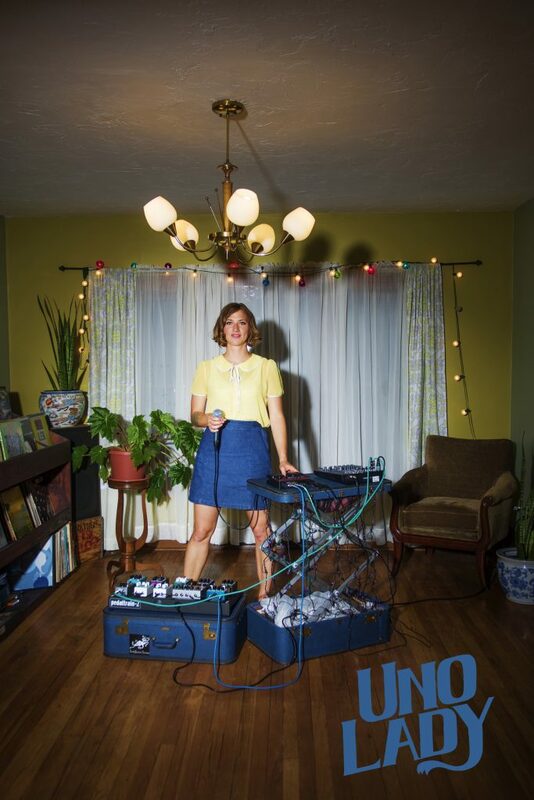 As Uno Lady, she’s dazzled, confounded, and delighted audiences since 2007 with loop-based compositions for voice, found sounds, and effects pedals. Her avant-garde pop tunes combine doo-wop harmonies and ethereal soundscapes with layered and processed vocals, which range from a smoky tenor to operatic outbursts of melody.